In a popular Crowded House song there’s a lyric that says: “everywhere you go, always take the weather with you”. 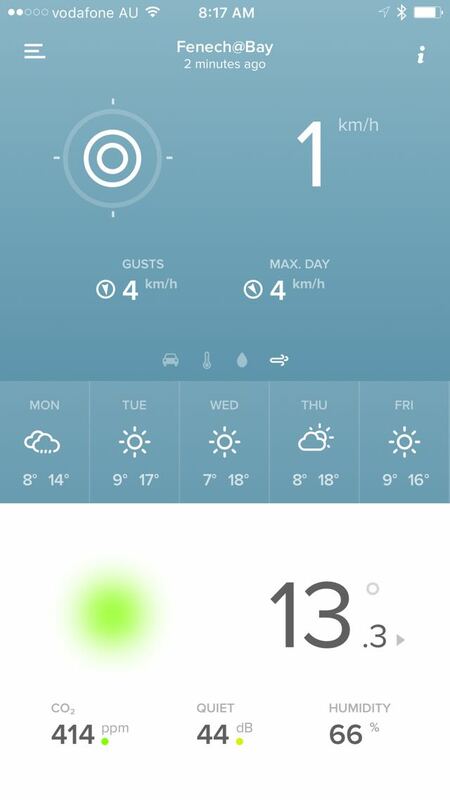 That’s exactly what you can do with the Netatmo Weather Station. 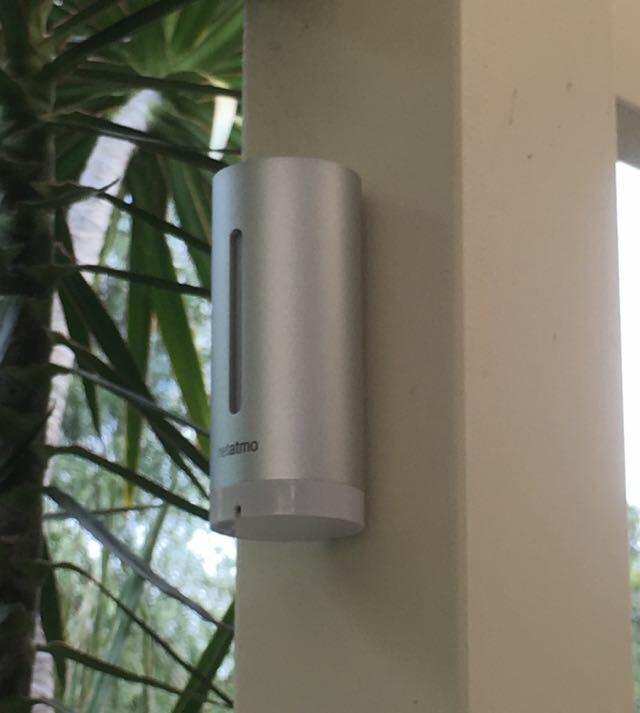 In the same way a fitness wearable can track your activities and general wellbeing, the Netatmo Weather Station, priced at $299.99, lets you monitor and collect information about the environment inside and outside your home. And you also have the same options to use that information to improve your surroundings and make yourself more comfortable. Inside the box are the cylindrical indoor and outdoor stations made of durable aluminium. 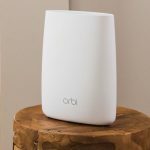 The larger of the two is for indoor use and needs to be connected to power and to your home wi-fi network. 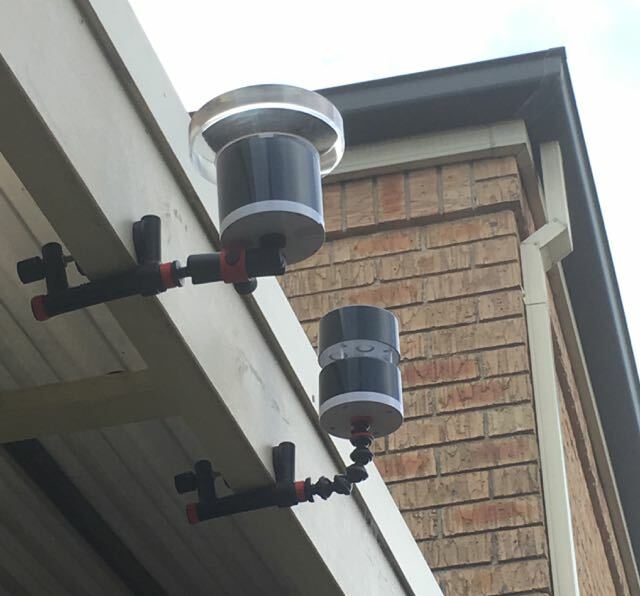 You can also add a rain gauge and a wind gauge to provide even more data – but more about those later. 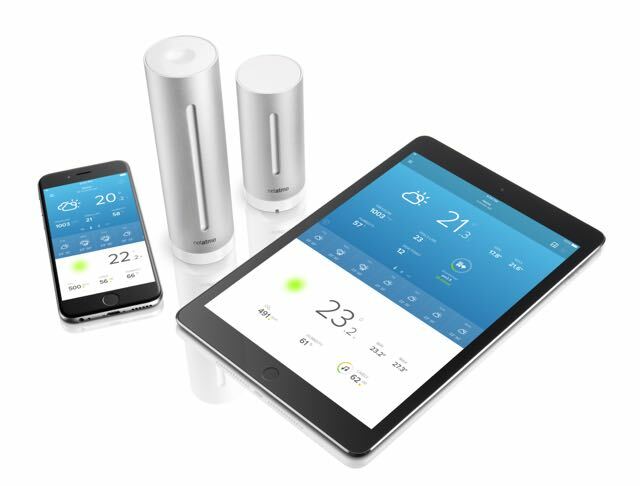 Set-up for the indoor and outdoor stations takes minutes through the companion Netatmo Weather Station app. We positioned the indoor station in a central part of our home and the smaller outdoor station on a post on our back deck that is sheltered from the rain. 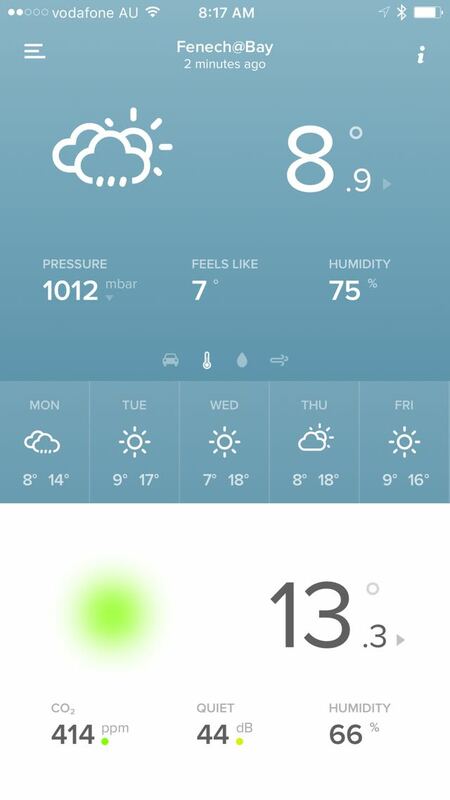 From these stations we could now see – within the app or on the Netatmo website – the outdoor temperature and relative humidity the outside air pressure, air quality and the current weather. From the indoor station we had other information like temperature, CO2 level and the acoustic comfort level. Also on the screen is a seven-day weather forecast. You can also choose to view all of your data in graph form to see how things are trending and see the cycles and forecast variations. 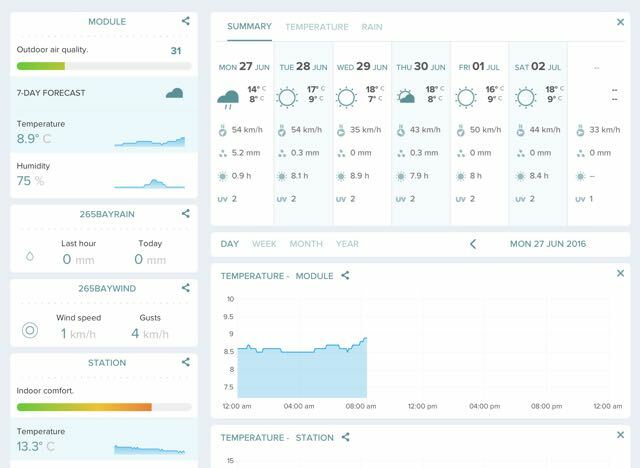 It’s also possible to view not only your own weather station on a map but also the information from the other Netatmo weather stations whether they are located in the next suburb or on the other side of the world. This way you can observe the micro climates street by street and suburb by suburb thanks to the data that’s being captured by the stations. 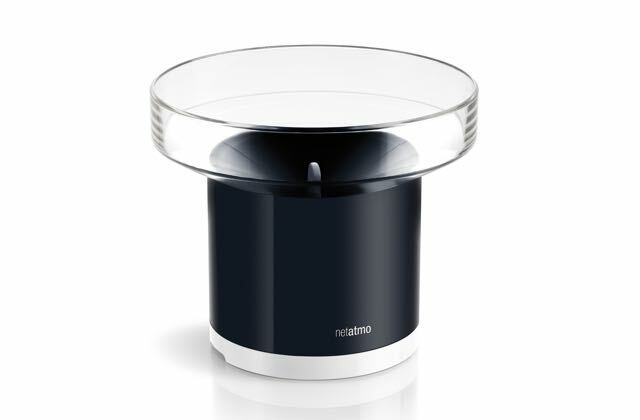 To expand the amount of data the Netatmo Weather Station can collect, you can also add a Rain Gauge ($149.99) and a Wind Gauge ($199.99) so now you can track rainfall in millimetres per hour along with wind speed, wind direction and the day’s maximum wind. These need to positioned outdoors in the open – ideally on your roof or on top of your pergola. Both of these gauges need to be paired to the indoor station before being taken outside. On the base of each gauge is a tripod thread so they can be positioned securely on mounts which are sold separately. 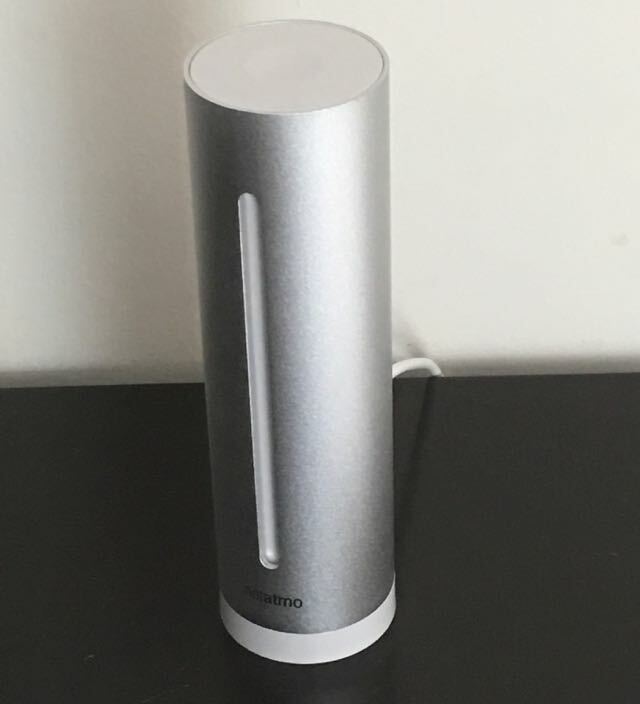 For weather nerds – and there are lots of people who would admit they are – this Netatmo product had them at hello. But even if you’re not into weather like these users, this device can still be extremely useful. 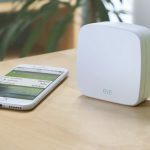 The data they collect can tell you when it’s time to open a window if the air quality drops or to detect when things are getting noisy inside your home. 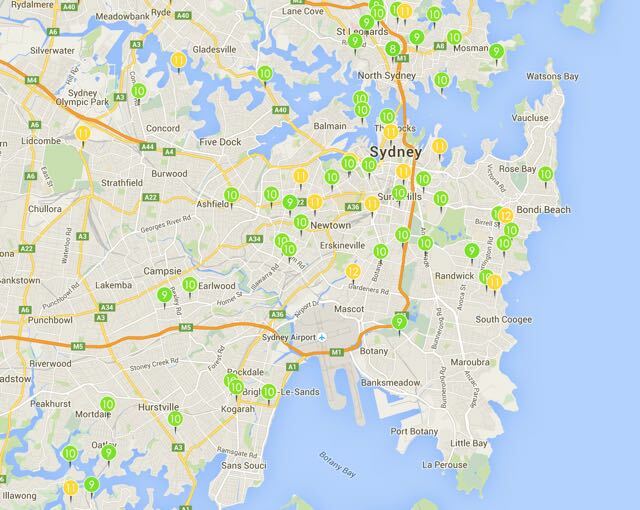 The temperature data can be used to help you save energy. Knowing what the temperature is in your home means you can more accurately determine whether you need to turn on the heater. You can also be more active in keeping the heat in – or letting the hot air out. And all of this data can be observed whether you’re standing in your home or anywhere else in the world. 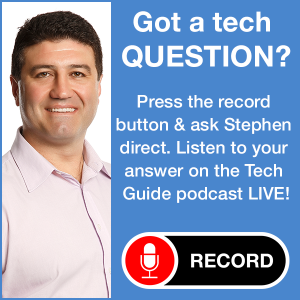 Users can also incorporate the data from the Netatmo products into their home automation. 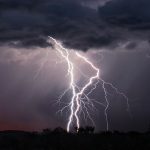 Using recipes from the site IFTTT (If This Then That) it’s possible to trigger certain actions in your home based on the data gathered by your weather station. For example, you can automatically turn on your heater of the temperature drops to a certain level and turn it off again if the temperatures rises to a given point. You can receive alerts when it starts raining – this is handy so you know to shut your windows or bring in the washing. If the winds reach a certain speed you can also receive alerts so you can bring your pets inside or store outdoor furniture. 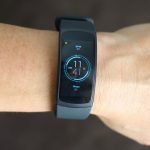 There are plenty of combinations and possibilities that you can set to suit your lifestyle and your needs. Once thing’s for sure, you’ll never ignore the weather again. It is, after all, one of the most common conversation starters. 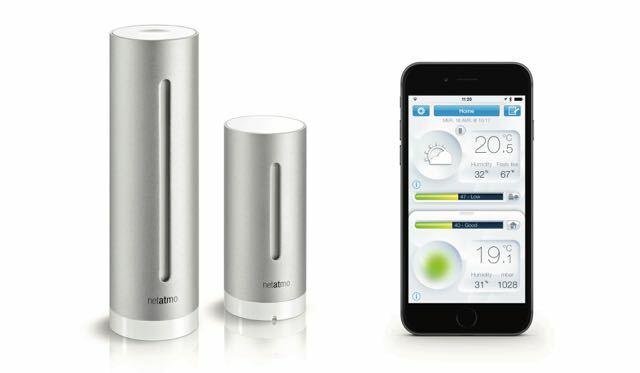 Now if you get yourself a Netatmo Weather Station, you’ll never be short of things to say. 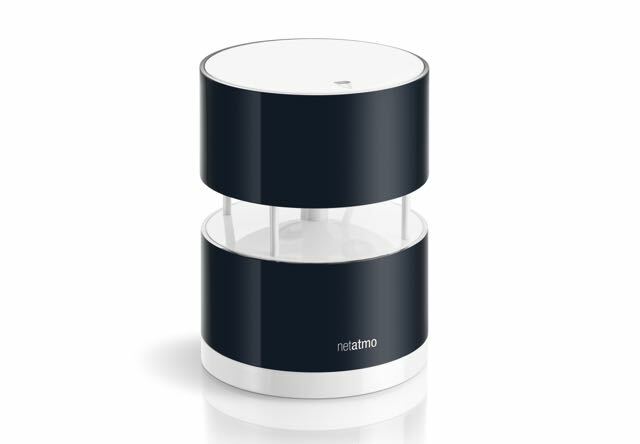 The Netatmo Weather Station and Rain and Wind Guages will be available from Australian Geographic stores and online here from July.